Our vision is to make a sustained and significant contribution to efforts by scientists and doctors worldwide to cure patients with advanced lung cancer and for those we can’t cure to make lung cancer a chronic disease that can be managed effectively while preserving quality of life. To make this vision a reality the multidisciplinary lung cancer team at St. James’s Hospital in collaboration with Cancer Molecular Diagnostics Laboratory, our international collaborators and lung cancer patients have formed a united strategic alliance “Target Lung Cancer” to ensure that the world-class personalised medicine approach to lung cancer diagnosis and treatment at St. James’s Hospital continues to grow from strength to strength. Future progress to identify and develop new markers and therapeutic targets for lung cancer will be made possible through the ongoing support of the internationally recognised lung cancer biobank which was established at St. James’s Hospital in 2004. This vital research resource is made possible through the dedication of the entire lung cancer team and the generosity of our patients and their families. Our mission is to undertake pertinent, valuable and original lung cancer research. We aim to take our research from our laboratory benches into the clinic to provide ‘real world’ benefits for lung cancer patients. Our ultimate goal is to provide new insights into lung cancer both in terms of biology and therapeutic options, therefore improving patient overall survival times. 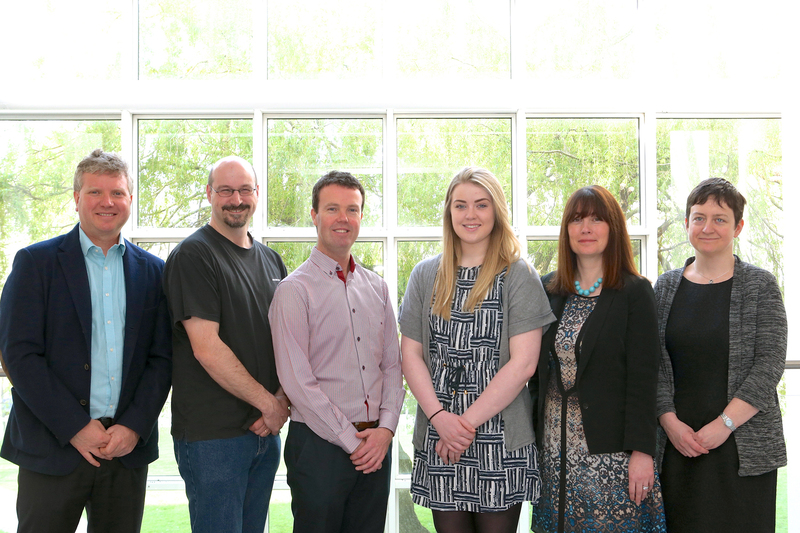 Pictured are: Prof. Stephen Finn; Dr. Steven Gray; Dr. Martin Barr; Eilish Mullahey; Dr. Kathy Gately; Dr. Sinead Cuffe.